CURRENT FAVOURITES | RAWR BOWS. I’m not going to lie, I have been doing A LOT of online shopping recently (blame revision) but most times I ended up returning 95% of the stuff I bought either because I didn’t like it or because I felt guilty and knew I didn’t need any of the beautiful tops and skirts I had bought. However, I did keep some stuff that I needed which have now become staples in my wardrobe. And, since I felt guilty for spending money, I decided to start using some of my old stuff that I hadn’t used in forever. You know, these lip balms that end up at the back of a random drawer and you forget they even exist so you go to Boots and buy a new one. 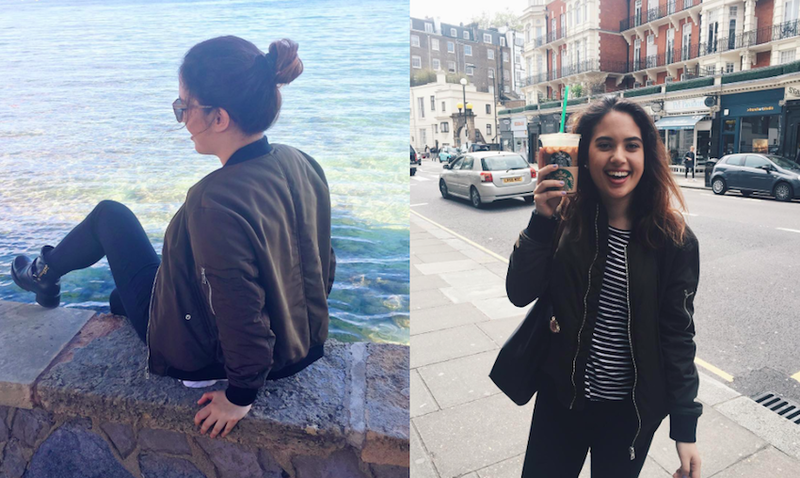 My first favourite is probably the item I wear the most ever since I got it: my bomber jacket. It’s from Zara and it’s not only absolutely beautiful but it’s also perfect for this weather and goes with all of my outfits (as you can probably guess from my Instagram). 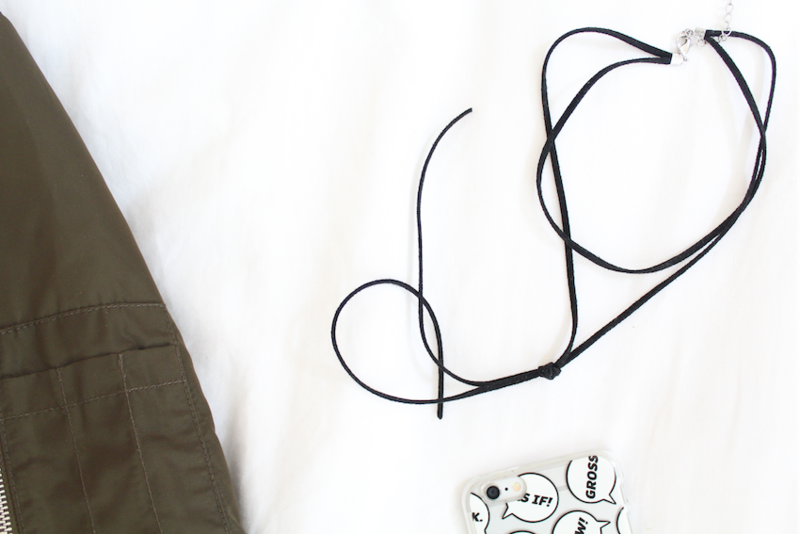 Another favourite of mine is a necklace I got a few months ago from ASOS. As hard as it may be to believe, I hadn’t fallen for the choker trend yet. However, I bought this half choker necklace and I’ve been wearing it as often as my outfits have allowed me. Another cool thing about this choker is that if you undo the knot you can wrap it around your neck and looks really cool. The next two things I’ve been loving are Nivea’s lip butter and my new SkinnyDip phone case. I got this Nivea lips butter last fall but stopped using it because it slightly tinted my lips pale pink and I didn’t like it. I love using this as soon as I get up to prep my lips for lip liner or a matte lipstick. Finally, I've been loving OPI Sweet Heart nail polish. It's a very light pink shade that, even though it looks great now, it will look 10 times better once I don't look like Edward Cullen anymore and spend some time under the sun! These are all of my current favourites, what have you been loving?